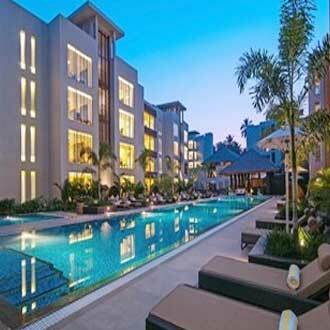 Situated in North Goa and in close proximity to Calangute beach stands Swissotel Goa. Its three-storied structure provides 135 contemporary rooms and suites to laze around and relax. There is also an all day dining restaurant serving International and Goan cuisines and Grab & Go- a coffee shop to sip in hot steaming coffee and quick bites all throughout the day. For fun-filled evenings, there is an in-house bar, which is open till late night.